When exhibiting at trade shows, so much of our focus is on the display booth. Why shouldn’t it be – that’s where a huge bulk of your marketing budget went. You’ve put your creative energy and time into planning and executing a flawless convention presence. Hopefully you’ve even gotten ahead of the game and engaged in valuable pre-show marketing to reach out to your existing clients and encourage them to redeem your email campaign promotion and visit your booth. Now the big question, what happens when a visitor finds you at the event? Is your booth staff prepared to face blank stares, jaded consumer doubt, and a seemingly never-ending flow of attendees that MAY have genuine interest in your product or might just be browsing for some free goodies. Learning the difference so you can effectively qualify and filter out interested trade show attendees is the task of your booth staffers. Check out Mike Thimmesch’s tips for better understanding why attendees don’t trust your booth staff. Why do B2B buyers continue to attend trade shows by the tens of millions, rather than make all their purchases online? 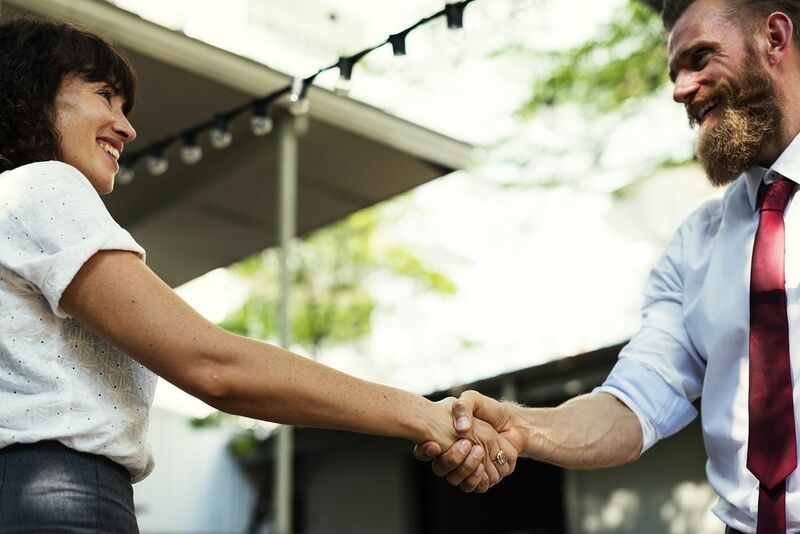 Because they want to meet you face to face, to see for themselves what the people who work for your company are really like, and if your company is trustworthy enough to do business with. It’s hard to believe, but far too often attendees walk into a booth and are ignored by booth staffers – maybe even your booth staffers. This behavior exasperates attendees. If you ignore them in your booth, they would expect to be ignored as a customer. Which is why they are unlikely to ever become a customer. Attendees can’t make a personal connection if your booth staffer doesn’t pay close enough attention to even look them in the eye. They don’t have to stare; they just have to demonstrate they are paying attention to your visitors, so the visitors feel valued. If your staffers are too intent on unloading the same talking points, rather than listen first to what each visitor is trying to achieve at the show, then your staffers’ data dump will fall on deaf ears. Attendees want a dialog, not a diatribe. Thanks to all that product information on the Internet, today’s trade show attendees are better informed than ever before. So if your booth staffers lack the product and industry knowledge to competently answer questions, attendees will take their business to someone who knows their stuff instead. An assertive, friendly, knowledgeable booth staffer will create far more real opportunity with buyers than a booth babe that will intimidate some men, be avoided by some senior decision makers who don’t want to look like they’re hitting on women, and by many women who are offended by them. If you do not have enough capable booth staffer among your employees, you can hire brand ambassadors, and skip the booth babes. Attendees quickly judge how trustworthy your company is by how well your booth represents it. Does it quickly communicate how you can help them solve their problems? Does it show that you are a good company to work with? Or does it send conflicting messages, and look like it needs repair or replacement? 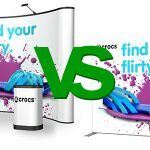 Your exhibit will reflect well or poorly on your booth staff. The goal of branding is to build trust with buyers. 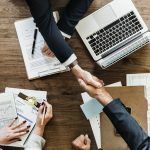 If they trust that you represent something they value and need, and can consistently deliver on that promise, then they will reward you with their business and their praise. Make sure your trade show booth staff and your trade show exhibit will help earn, not spurn, that trust. We hope you enjoyed this featured post. Have questions about choosing and training your booth staff for your next trade show display? Our exhibit experts are always happy to discuss options and recommend the best display for your company’s needs. Do Your Trade Show Booth Visitors Trust You?